Minimize downtime at your facility - Let us visit your location for to service your forklift fleet. Infiniti Handling Systems understands that servicing your lift truck(s) can be a major inconvenience as it disrupts warehouse and productivity. Fortunately we offer a mobile service to help get your forklifts up and running quickly. Different tire widths can affect lift truck stability further minimizing the truck's carrying capacity. 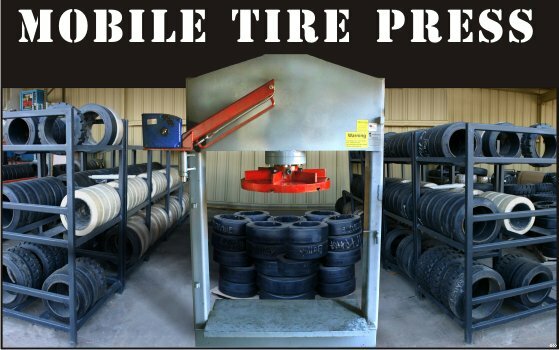 Are your forklift tires in need of service? 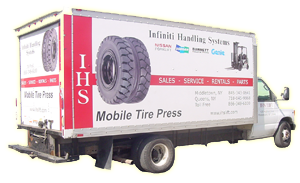 Please call us or email us at tires@ihslift.com and we will contact you IMMEDIATELY.